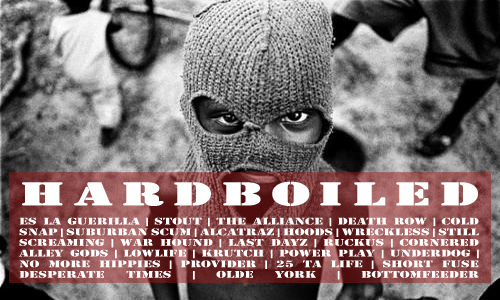 From old school to new, this edition of HB Radio has some classic heavy-hitters like Stout, Krutch or Lowlife, but also some newer tracks from Ruckus, War Hound, Provider or seriously bone-crushing joint by Bottomfeeder. Also check out bands repping Eastern Europe like Power Play, Desperate Times, Last Dayz or Death Row - you will be surprised how good this music is! Playlist after the jump or open it in a pop-up window.